I’m back from my trip to Cape Cod, where we got to sneak in some time at the beach on probably what were the last few warm days of the year. Huge thanks to the publishers and authors for the following review copies received, and for more details and full descriptions of the books, be sure to click the links to their Goodreads pages! The Facefaker’s Game by Chandler J. Birch – Pitched as perfect for fans of Patrick Rothfuss and Scott Lynch, there are certainly some high expectations for this fantasy novel, but I’m looking forward to digging in, probably sometime later this month. My thanks to Simon & Schuster/Simon451 for the finished copy! 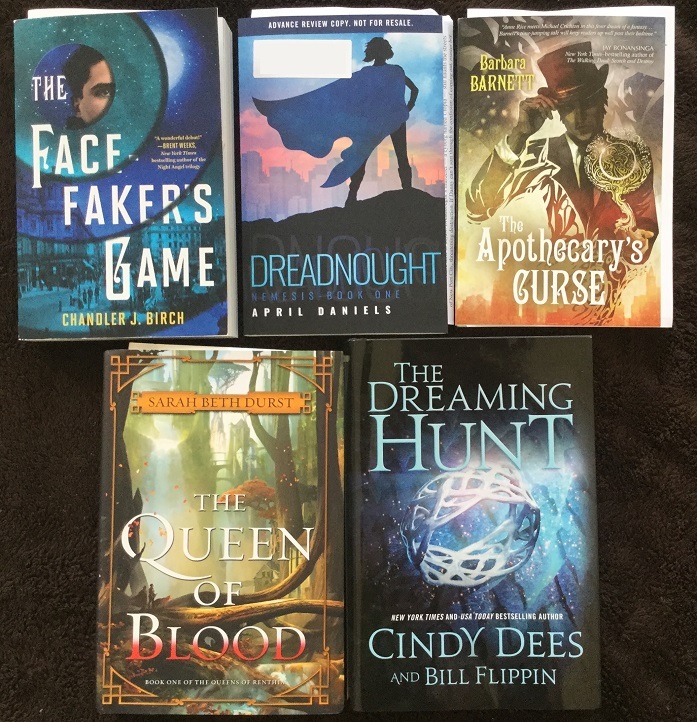 Dreadnought by April Daniels – This was an awesome arrival from Diversion Books (and the fact that they send me surprise mystery teas certainly doesn’t hurt!) Not only was I thrilled to learn all about this upcoming novel, it’s also going to be an excellent #WeNeedDiverseBooks title for readers looking for YA titles with LGBTQIA themes. Dreadnought is a superhero story starring a transgender teen facing the confusion of coming out while also struggling to master her powers in order to save the world. Thank you so much to the wonderful team at DB for introducing me to this amazing looking book and I can’t wait to check it out. The Apothecary’s Curse by Barbara Barnett – Thank you to Pyr Books for this finished copy! They’re really hitting it out of the park this year with interesting and very unique books, and this Victorian era inspired steampunk is definitely calling out to me. I’m hoping to read it soon. The Queen of Blood by Sarah Beth Durst – I just love, love, love the sound of this one, and the tantalizing draw of the mythical forest setting is especially irresistible. Thank you Harper Voyager for the finished copy! The Dreaming Hunt by Cindy Dees and Bill Flippin – The arrival of this one reminded me that I still need to get caught up with the first book. This is a series I’ve been interested in for a long time. With thanks to Tor for the finished copy. The Rains by Gregg Hurwitz – Also courtesy of Tor comes this apocalyptic YA horror novel featuring what looks to be zombies. 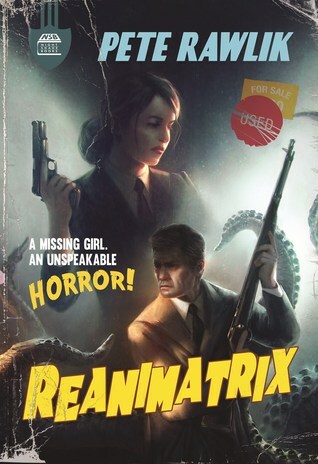 I didn’t even realize until I saw the finished copy that there are actually a pair of icky, rotten undead hands reaching for the characters at the bottom of the cover! Yikes! I’m going to try very hard to fit this one in for October, because it sounds like a lot of fun. Pathfinder Tales: Shy Knives by Sam Sykes – I’ve been really enjoying these Pathfinder books, but even if I hadn’t been getting into the series I’d like to think this one would have jumped out at me. 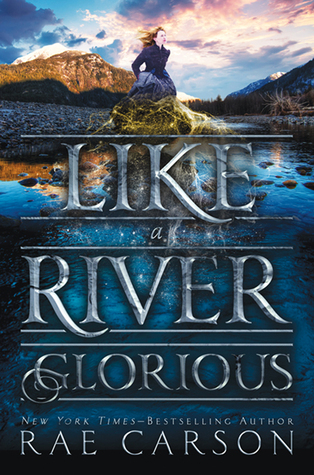 A Pathfinder novel by the wickedly funny Sam Sykes? Yes, a million times yes, please. 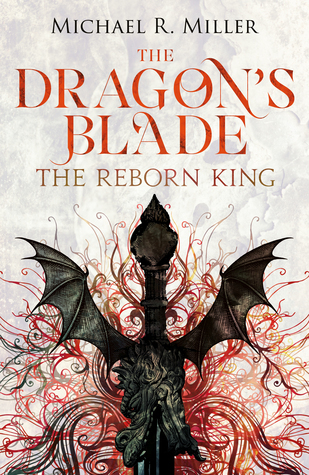 Thank you, Tor Books! Unhonored by Tracy Hickman and Laura Hickman – One final finished copy from the good folks at Tor, and it is the second book in the Hickmans’ Nightbird series. I am still deciding whether or not to tackle it since I had mixed feelings about book one, but if I have time I’ll probably go for it! My thanks to the publisher. Black Feathers edited by Ellen Datlow – This was an unsolicited arrival, but color me intrigued! Being a huge bird nerd, naturally I’m drawn to anything feathery, including the darker side of the avian world. Some of the creepiest, most horrifying stories and movies revolve around birds, which, if you think about it, is actually kind of weird and cool–much like this book. 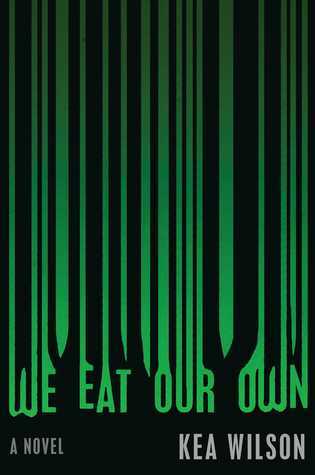 Edited by renowned anthologist Ellen Datlow, this collection features writers of horror and dark fantasy like Paul Tremblay, Seanan McGuire, Alison Littlewood, Stephen Graham Jones, and that’s only a sample of the few names I could remember from my quick gander (heh!) at the author line-up. Huge thanks to Pegasus Books for the ARC. At the Sign of Triumph by David Weber – This was a surprise arrival, and though I’ve always wanted to read Weber, gah, not sure I could start with book nine of a series! The Safehold saga is one I’ve heard a lot about though, and it’s actually on my list of series I hope to start one day. My thanks to Tor Books for the ARC. 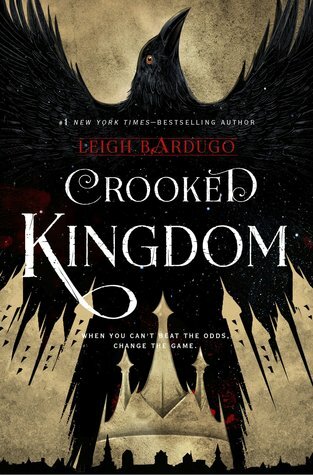 Crooked Kingdom by Leigh Bardugo – Audiobook, with thanks to Audible Studios. One of the main reasons I decided to go with the audio version over the print is because of the multiple cast production. They’ve brought on eight narrators for this book, and I just adore audiobooks where each POV character has his or her own voice for the chapters. I’m really excited to start listening, and hopefully by the time this post goes live, I will already be well into this. 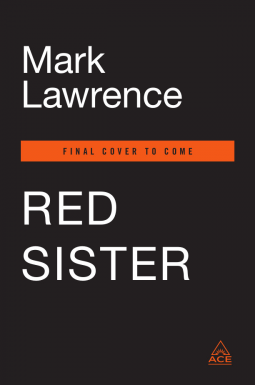 Red Sister by Mark Lawrence – This book isn’t out until next spring and it’ll probably be some time before I start reading, but I just could not resist requesting when I saw it pop up on NetGalley. A new Mark Lawrence book always has that effect on me! 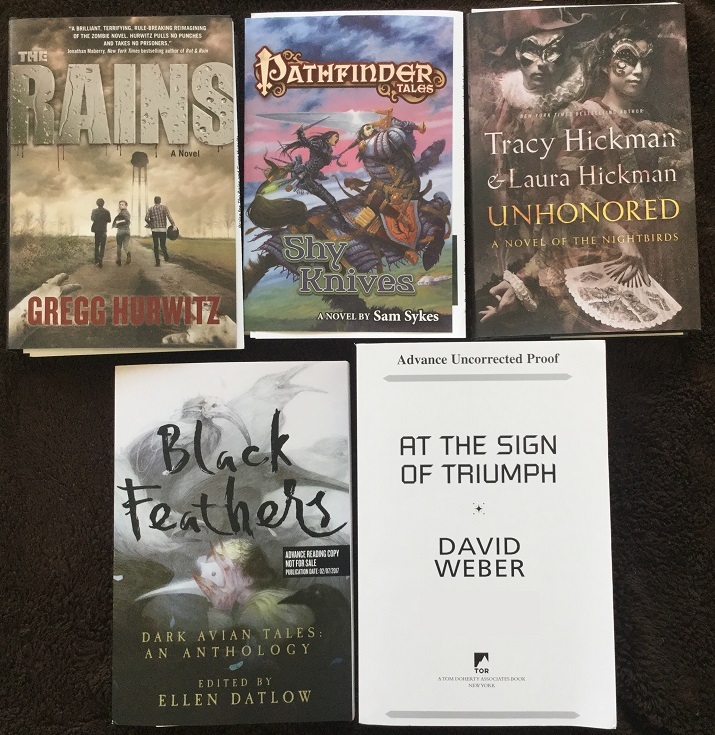 My thanks to Ace Books! 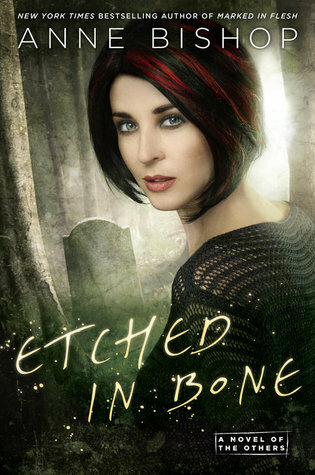 Etched in Bone by Anne Bishop – Another book I could not resist requesting, but I could hardly be blamed for my impulsiveness, right? So what if I’ve essentially destroyed my NetGalley stats this week? 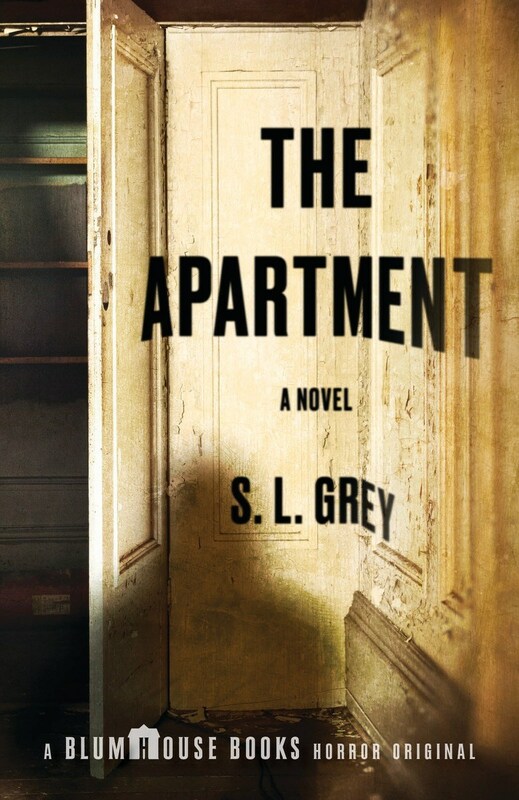 This is the final book of The Others series and I am like GIMME NOW. Thank you to Roc Books! 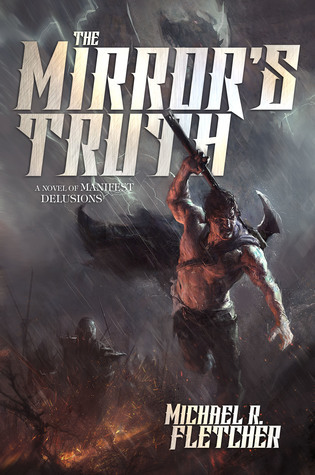 The Mirror’s Truth by Michael R. Fletcher – Well, this is certainly a Bookshelf Roundup full of exciting eARCs, because this week I also received this second novel in the Manifest Delusions series. Beyond Redemption is one of the best grimdark books I have ever read so I was bummed when I heard the publisher wasn’t picking up the sequel. Thankfully the author has decided to self-published, and I was thrilled to be offered a review copy. If you haven’t checked out the first book yet, I highly highly highly recommend it! Do yourself a favor, and go read it now. You can be sure I’ll also be preordering this bad boy as soon as it becomes available. Passing Strange by Ellen Klages and Cold Counsel by Chris Sharp – More novellas, courtesy of Tor.com! Both of these covers are gorgeous, especially the one for Passing Strange which really captures that nostalgic vibe of the 1940s, which is when this book takes place. 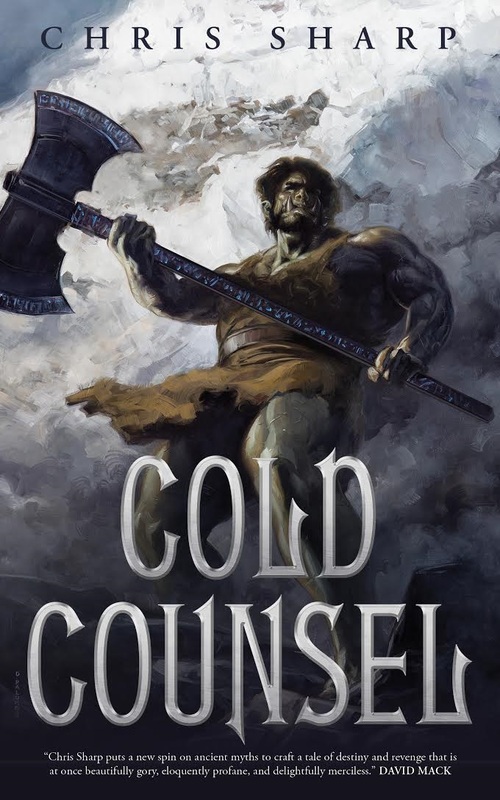 Cold Counsel also looks great, because who doesn’t love trolls? Review roundup time! The Last Days of Jack Sparks is featured as a top read, and if you’re still looking for spine-chilling read this Halloween, I simply cannot think of a more perfect book. 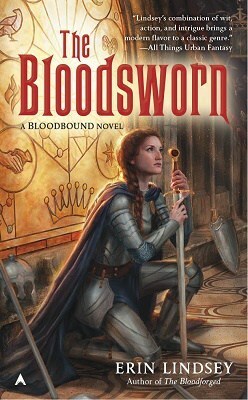 The Bloodsworn was also a stunning conclusion to a fantastic trilogy. 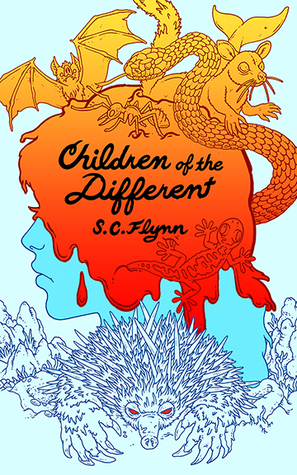 I highly recommend the series if you enjoy fantasy and adventure mixed with a healthy dose of romance. I managed to fit in a lot of reading on my trip, and as you can see I’m also well into my “Read all the horror books” phase to get into the spirit of the season. Some of these books have already been reviewed; stay tuned because the rest will be up soon. The Queen of Blood is one I want to get- I started reading it in the bookstore the other day as I was waiting for some people and got hooked. Now I need to get it! And I think I want The Rains too. 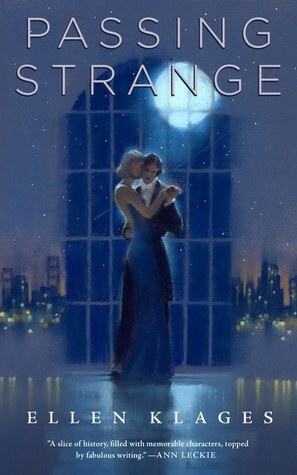 Passing Strange has an amazing cover- I’ll have to look at that one. Love the moon and the view over the city and just the whole thing. I’ll be starting The Queen of Blood very soon. I really have no idea what to expect, so to hear that you were hooked within the few early pages, that has me very excited! It’s kinda really different, it’s got some familiar tropes in the early going but it’s just unique and I think that gives it a little something. I hope you enjoy it! Of course I only read three chapters, so I have to get it yet too ha ha. Fletcher and Lawrence in the same week! Glorious! I know, it’s a grimdark wonder week! Glad you had a nice time at Cape Cod! Thanks! It was much needed rest and relaxation. Love the pictures of the beach!! Pretty much every book in that first batch up there looks amazing – beautiful covers and interesting sounding stories. I’ll keep an eye out for when you review them! 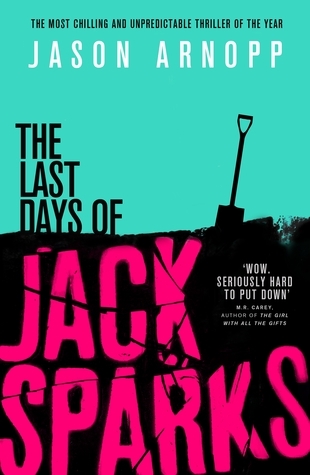 Yes, Last Days of Jack Sparks was awesome – I was completely riveted while I was reading, and I am still thinking about it long after I finished. Hope you get to check it out! I got an early copy of The Queen of Blood at a book fair. I liked it quite a lot. 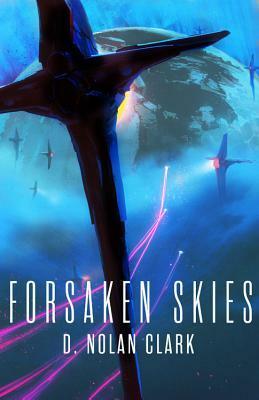 Dreadnought and The Facefaker’s Game both sound look books I’ll want to keep an eye on. I just got a copy of Crooked Kingdom. I’ve got a couple ARC’s I’ll probably read first, but I’ll be reading it in the very near future. Ah, I had forgotten that Weber is also the author of the very big, very popular Honor Harrington series! Yes, those books call out to me every time I go to the book store or library, and a lot of my friends also love them! Yay great books! I ased for the Bishop one so I hope I’ll have it. I reall enjoyed the Dreaming hunt. Happy reading! Crossing my fingers for you that you will get the Others book. I’m very excited to read it. Ooh, a bunch of these I don’t even know. Looks like a good haul, as usual! Many of them were new to me too, and I am looking forward to checking them out! Black Feathers: Dark Avian Tales: An Anthology sounds amazing, I’m always happy to hear about new anthologies! Wow, you reviewed a lot during the last two weeks. Very cool. And so many of your new acquisitions look exciting! I can’t wait to hear your thoughts about them 🙂 I really enjoyed the first book of Anne Bishop’s series. Need to catch up on those! Aww, last book? 😦 Sad times. I’ll be looking forward to her next series, for sure. I just got Etched in Bone too, and I’m DYING to read it! Pretty sad the series is coming to a close, though. You and me both, I need to really put a brake on my NG requesting, but every day I still browse to see what’s new! I’m hopeless! Your photos are beautiful! It’s so nice to get away, right? 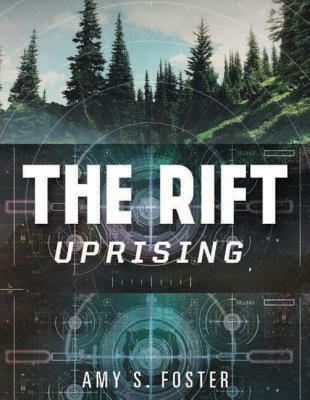 I have a couple of the same books (which I’ll have to wait until next Saturday to share because, super busy this weekend) and I had heard about Michael R. Fletcher self publishing his second book. I’m dying to read the first book! I’m thinking about grabbing The Queen of Blood for my Kindle soon. I need to stop buying a lot of physical books – our house is running out of room! I am really interested in Black Feathers as well so will definitely be checking that one out. I am really enjoying some of the novella Tor.com has been sending out lately. Nice haul and beautiful pictures. I’m glad you enjoyed your trip! I need to start sorting out my physical books soon, to determine which to keep, which to donate, etc. because things are getting pretty out of hand over here too, lol. 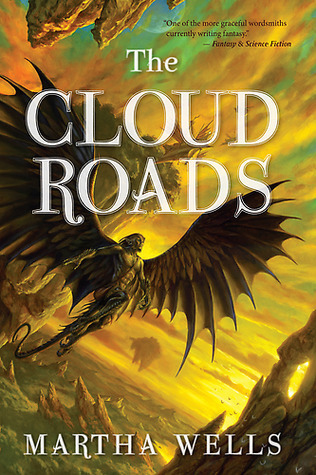 I’m also really intrigued by a lot of the Tor.com novellas, I really need to do a better job fitting the ones I want to read into my reading schedule! Nice! I nabbed Fletcher and Lawrence this week as well, and I have a boxed set of the first 3 Safehold novels that have been waiting forever for me to give them a read. Nabbing both Fletcher and Lawrence definitely made this week an exciting one! Hey! I know where Bass River Beach is. 🙂 I’m glad you had a wonderful Cape trip and got to enjoy some nice weather while you were there! I’m really interested in hearing more about The Queen of Blood, so I look forward to your review on that. Also, yay for Crooked Kingdom! I’m about 3/4s of the way through it now, and… I have a feeling it’s going to ruin me. In a really good way, I mean. But still. Yes! Well, they had one sand sculpture there this summer, a replica of Pete and the dragon from (of course) the movie Pete’s Dragon. But someone had supposedly vandalized the sculpture a week or so after it was built, so by the time I saw it, Pete’s head was gone. 😦 There were other sand sculptures around town, too. I’ve got about 80 to 90 pages to go in Crooked Kingdom, so DON’T TELL ME HOW IT ENDS YET. XD XD But wow, what a ride this story has been. I love your pictures – especially the black and white one. Great book selection. Lots of these that I’m looking forward to – especially Mr Lawrence. currently reading The Apothecary’s Curse and so far enjoying it. 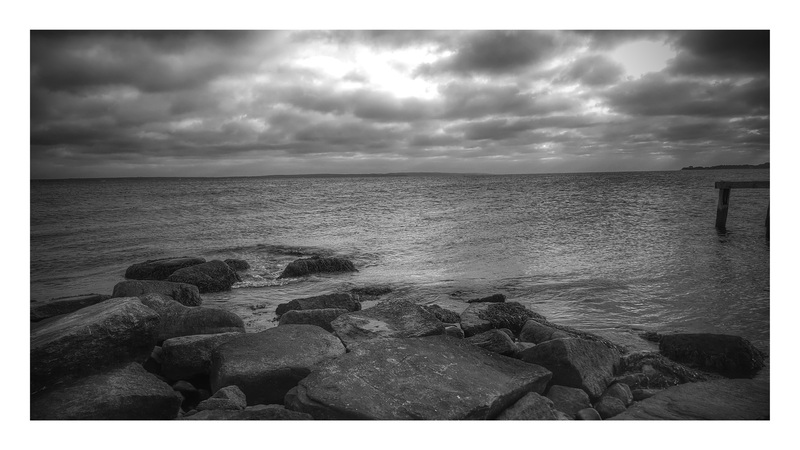 The b&w one was actually taken by my husband – the pics on his phone always seem to show up so much nicer! Looking forward to reading The Apothecary’s Curse soon! I enjoyed Facefakers Game, looking forward to what other people make of it. I am going to try really hard to fit it in at the end of this month – looks too good to miss. That’s awesome that they brought on 8 different narrators for Crooked Kingdom! I can’t wait to see what you think of the audiobook. The Facefaker’s Game looks really good. I hope you enjoy it.